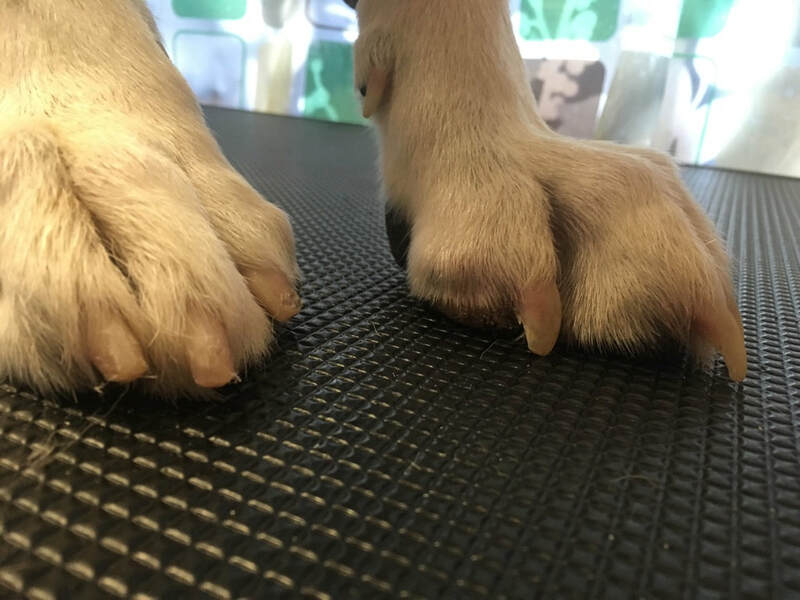 Proper joint and muscle health relies on a strong foundation so we need to start from the ground up, and it all begins with the paws. We want our dogs to move in fluid motion to prevent wear and tear on their bodies. So we need to pay attention to every detail, and even the smallest details count. 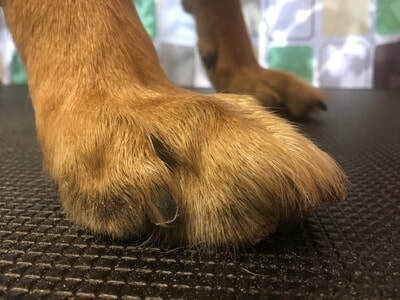 If you notice excessive licking, chewing, chronic limping, slipping, trouble balancing, and sometimes-unexplained frustration, it could all be related to their paws. Dogs are habitual creatures so these actions may be the result of them trying to communicate with us. 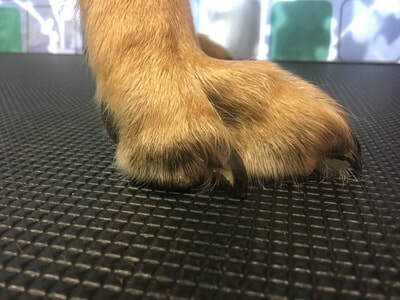 Does your dog have an excessive amount of hair between toes and pads? Are your dogs’ nails touching the ground? Making a clicking noise when they walk? Is there discolouration on their paw fur from licking? Is there fur missing on their paws from being chewed? Does your dog lick their joints excessively? Do they wince when they scratch behind their ears? Does your dogs slip or lose traction on various flooring? Are their pads rough, cracked, or raw? Is there an odor to their paws? 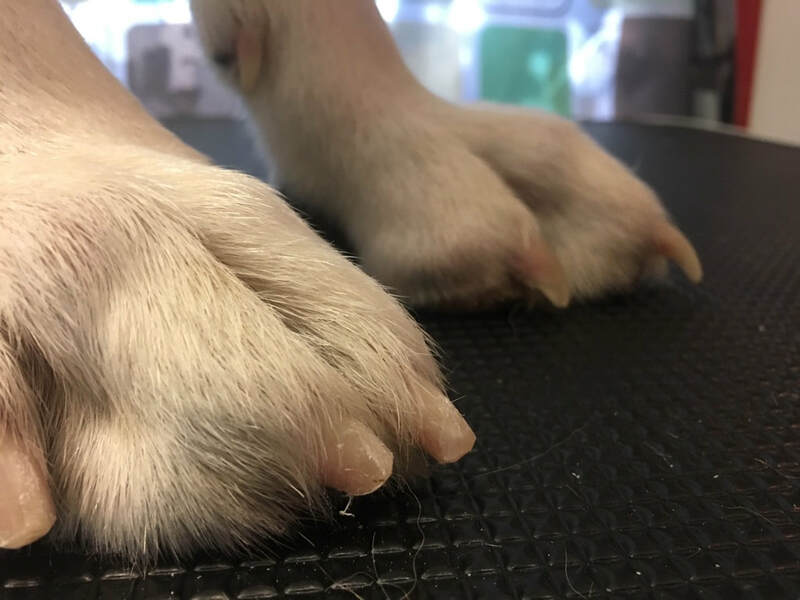 Paw health doesn't just mean their nails; it means every aspect of the foot itself, from their nails to their joints. With a proper spawdicure we clip their nails to the appropriate length, and file them to prevent scratches, on both flooring and skin. We remove excess hair to gain stability and traction, which prevents a build up of debris and bacteria. We moisturize their pads for comfort and protection against the environment. Lastly, we check mobility and well being of the joints to see if there is any discomfort, and of course followed with a relaxing puppy massage. We rely on our dogs for the adventure of life, and they rely on their paws to carry them through that path. Let us help make that rocky trail a little bit smoother with healthy foundation to lead the way.